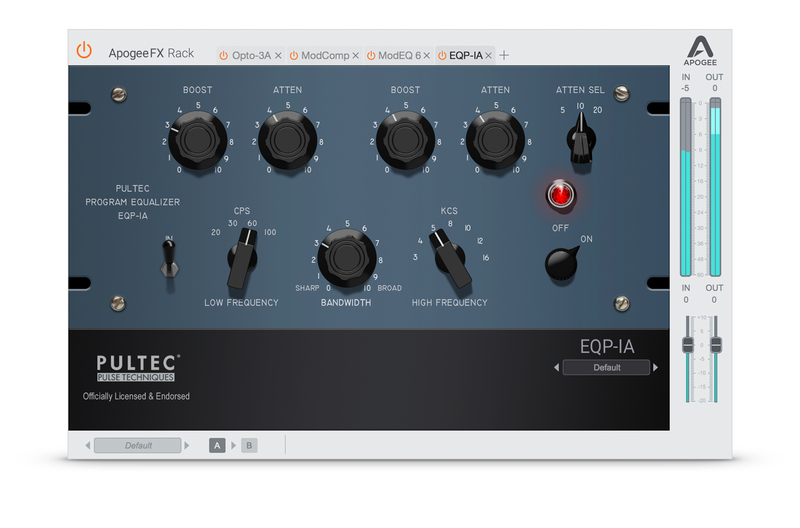 Buy Apogee Hardware, Get Apogee FX Rack Plugins FREE! 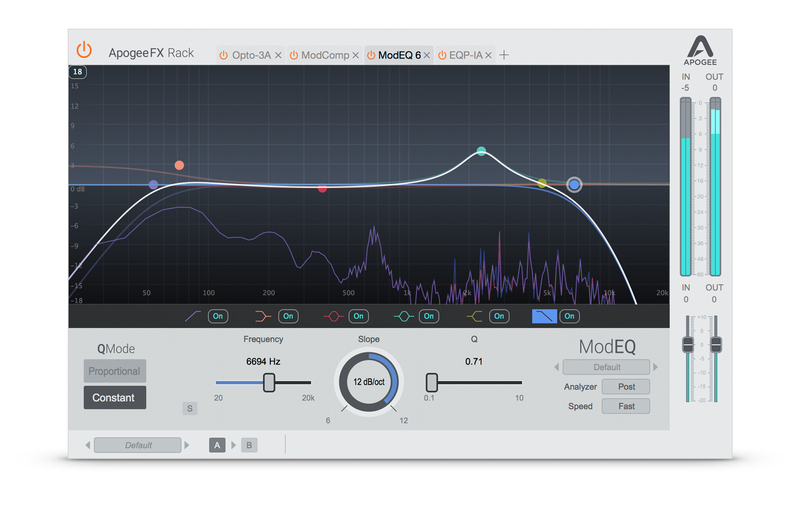 Apogee FX Rack plugins EQP-1A, Opto-3A, ModEQ 6 and ModComp are now available for Duet, Quartet, Ensemble Thunderbolt, Element Series or Symphony I/O Mk II customers. 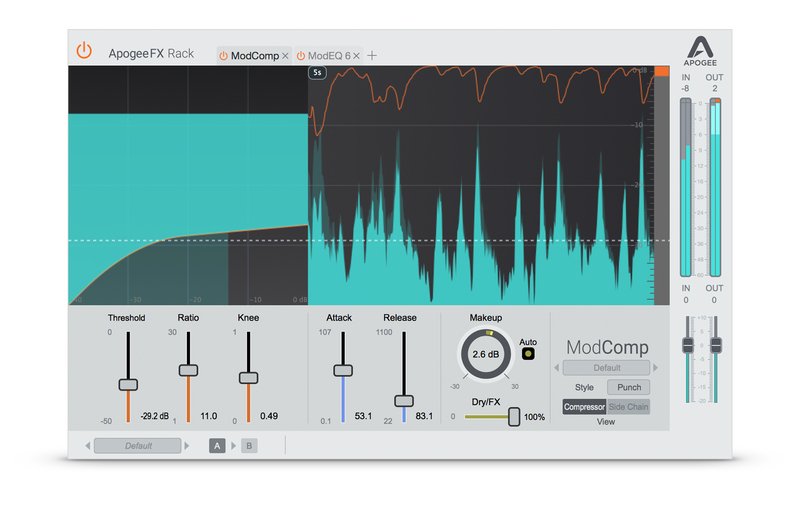 Get the Apogee FX Rack Bundle Free! *This offer is good through December 30th, 2018 and applies to purchases from an authorized Apogee dealer. Get ModEQ 6 and ModComp for Free! Register your Duet, Quartet, or Symphony I/O Mk II and receive Apogee FX Rack ModEQ 6 and ModComp plugins Free. 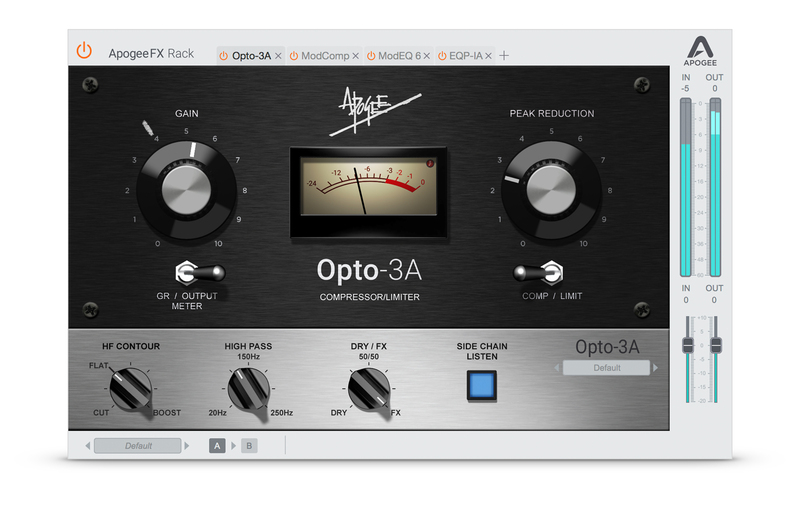 and Opto-3A ($99) bundle together for $249 and save $50. Upon registration you’ll receive a special email with download instructions. *Act now, this offer will only last until December 30th, 2018. You must register your qualified Apogee interface on the the Apogee website and provide proof of purchase to receive FX Rack plugins. Promotion period is Nov 2, 2018 thru December 30, 2018. Software may not be transferred, blended in a smoothie or sold to anyone other than the Apogee registered party. Void where applicable by law.